For more than a century, the North Shore Labor Council – and its predecessor, the Lynn branch of the American Federation of Labor – has served as the voice for working men and women throughout the North Shore. The formation of Lynn’s first labor council dates back to around 1900. It primarily served the private sector employees of the local shoe factories and building trades. In 1955, the American Federation of Labor (AFL) merged with the Congress of Industrial Organizations (CIO) and officially chartered the North Shore Labor Council. Since the 1960s, the council has seen an increase in public sector representation. Today, the North Shore Labor Council is a coalition of nearly 50 local unions, representing more than 18,000 members and their families, from teachers to electricians, nurses, public employees and utility workers. It is part of the Massachusetts AFL-CIO, the state’s largest labor umbrella organization dedicated to achieving a better quality of life for the Commonwealth’s working families. The council’s main goals include supporting a working family legislative agenda; partnering with community organizations that share its vision of social and economic justice; educating and training leaders to take on challenges in the workplace; improving the communication between unions; and providing aid, cooperation and assistance to local unions. Delegates of each affiliated union organize to support local struggles and meet monthly to discuss community issues. Crosby has served as president of the council since 1992. In that time, the council has launched annual events such as an education conference, summer picnic and legislative dinner, which has featured political leaders such as the late Sen. Ted Kennedy, U.S. Rep. John Tierney and former House Speaker Nancy Pelosi. The council has also worked to increase its female representation in recent years. Women now account for at least 40 percent of membership and the council has launched a Women’s Committee, which meets monthly, and an annual Women’s Solidarity Breakfast. Most recently, in partnership with the Massachusetts Coalition for Occupational Safety and Health, the council opened the Worker Center for Economic Justice, which aims to build the power of low-wage immigrant workers on the North Shore to organize for safe, decent and just working conditions. 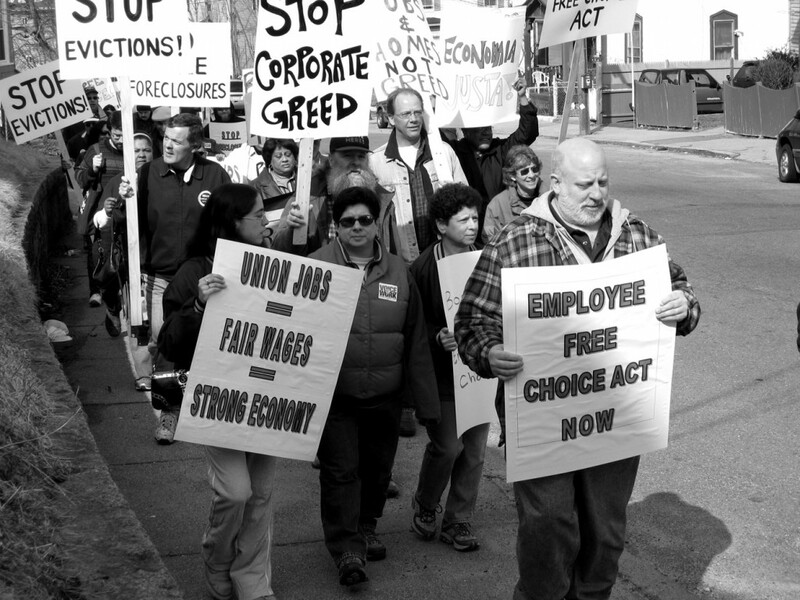 With an office located on Exchange Street in Lynn, the North Shore Labor Council serves: Beverly, Lynnfield, Rockport, Boxford, Manchester, Salem, Danvers, Marblehead, Saugus, Essex, Middleton, Swampscott, Gloucester, Nahant, Topsfield, Hamilton, North Reading, Wakefield, Ipswich, Peabody, Wenham, Lynn and Reading.